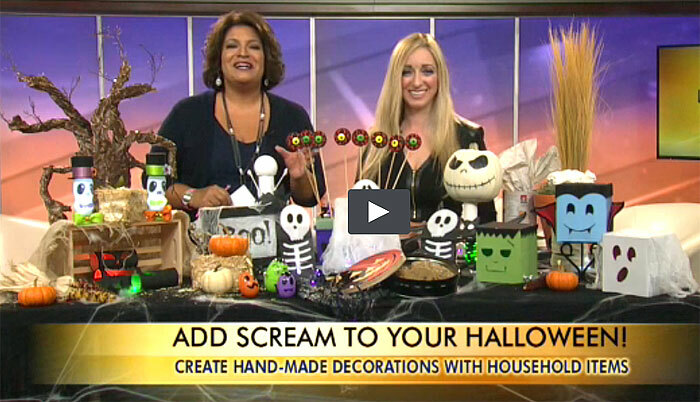 I stopped by News Channel 8, Let’s Talk Live on Friday to show how to create fun and scary Halloween crafts and decorations that are sure to lure Trick-or-Treaters to your doorstep. I demonstrated how to make hand-made decorations and haunting displays made from things you may already have around you house. This entry was posted in halloween and tagged Gina Tepper, halloween, halloween decorations, kids, kids crafts. Bookmark the permalink.